It has to be that in the eyes of the rest of the country, they’ve simply accomplished what everyone thought they would. You know the drill: A No. 1 ranking; a program-best 22-2 Canada West conference mark; a team with the opportunity to become the first in U Sports volleyball history to win three straight national titles since the Winnipeg Wesmen won four straight some 44 years ago, from 1970-71 thorough 1973-74. Yet peel back the veneer and it’s pretty obvious that TWU’s most impressive feat as it heads into its U Sports national tournament opener Friday (5 p.m. PDT) at Hamilton’s McMaster University against the Windsor Lancers, is that despite drastic 11th-hour changes to their projected starting line-up in the fall, they have lost none of their sheen and missed not a beat on their way to being installed as tourney favourites. 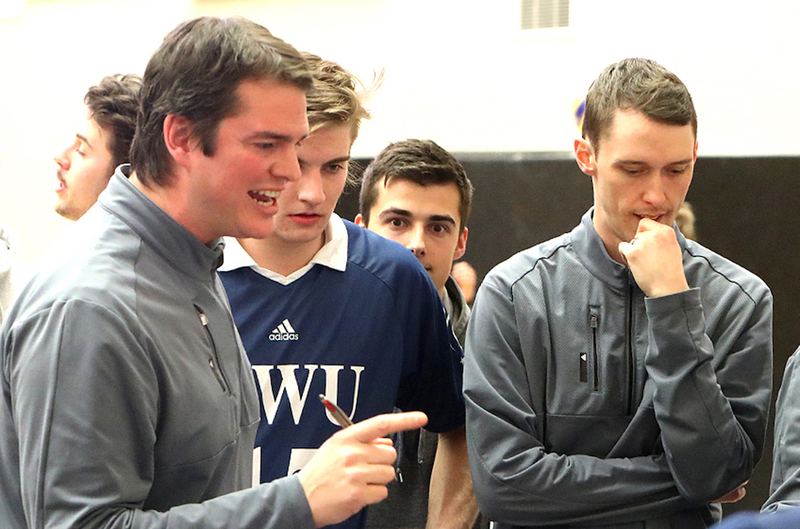 Ask head coach Ben Josephson about it, about losing two blue-chip talents before the start of the Canada West season, thus fielding what is ultimately the youngest team in his 11-year tenure at the helm, and he immediately speaks to recalibration. “We were headed into Year 3 of a four-year cycle, but instead we’re now in Year 1 of a four-year cycle,” says Josephson, who in the fall lost dominant fourth-year middle-blocker Aaron Boettcher to a season-ending injury, and lost starting front-row attacker Blake Scheerhoorn, who elected to leave to begin his pro career in Poland, despite the fact he still had a year of eligibility remaining. Of course getting Boettcher, one of the nation’s elite middles, back next season with two more years of eligiblity remaining while all around him, so much of the core group will be one year stronger, is already the theme of 2018-19. Yet all eyes remain fixed where they should during national championship week, and that is on a Spartans’ team which has been able to lean especially heavy on returning 6-foot-5 U Sports Rookie of the Year Eric Loeppky and 6-foot-8 freshman Jesse Elser as part of a front row that also features 6-foot-6 third-year Jacob Kern, and 6-foot-5 rookie middle Jackson Howe who mans middle blocking duties along with 6-foot8 third-year man Pearson Eshenko. 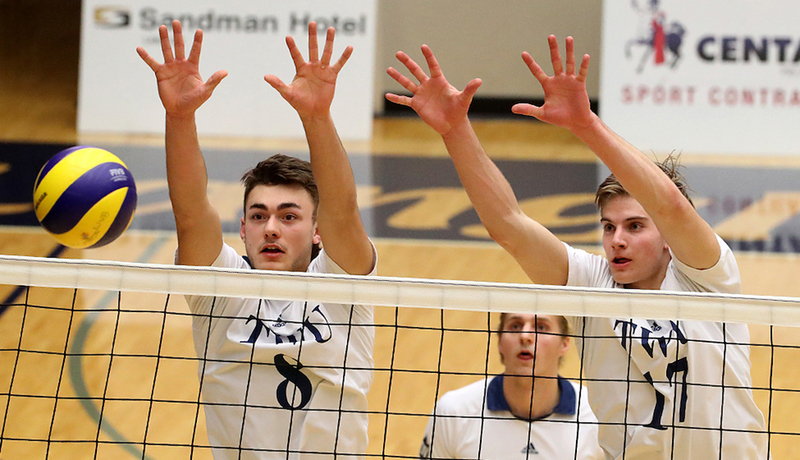 Of course the reason it has all worked out, aside from the terrific talents and maturity of the Loeppky-Elser-Howe triumvirate, has been the steady, mentor-like role played by the team’s 6-foot-7 fifth-year senior setter and Canada West Player of the Year Adam Schriemer. Trinity’s regular season was near perfect, its only losses coming at Brandon early in the season and then, as part of a split against its vastly-improved crosstown rivals, the UBC Thunderbirds (20-4), who are also a dangerous part of the national championship field. The ‘Birds, who were ranked No. 2 in the last national poll, had to win the conference’s bronze medal game to qualify as a No. 3 seed. Head coach Kerry MacDonald’s team faces the New Brunswick Varsity Reds in their Friday (10 a.m. PDT) opener. The Spartans and their so-called recalibration? Josephson is a true archivist when it comes to treating each season as a chapter, examining its meaning before linking it with subsequent seasons as part of a much larger work. He remembers how the most recent cycle began with 2015-16’s unexpected title, when the Spartans went from an unranked, sub-.500 team at the midway mark of the campaign to win the national title. Last season’s team was expected to dominate and it did, and this season, with the likes of Boettcher, Scheerhoorn and Schriemer expected to dominate, the third chapter was supposed to be even stronger. Instead, while the challenges have been greater, the rewards have reflected a long-term foundation for success. Both, like UBC rookie Fynn McCarthy, have been phenoms as freshmen. Howe, another Calgary native, brings a level of raw athleticism that is freakishly off the charts. Of course, who the Spartans do have playing for them also reminds them of who they don’t. And while he isn’t able to suit up, the Surrey-Elgin Park star Boettcher is with the team in Hamilton, doing what he can to help his teammates get ready. Every positive step TWU takes marches them one step closer to history, like the fact that no team has ever won three straight Canada West titles, each of which has led to a national championship. 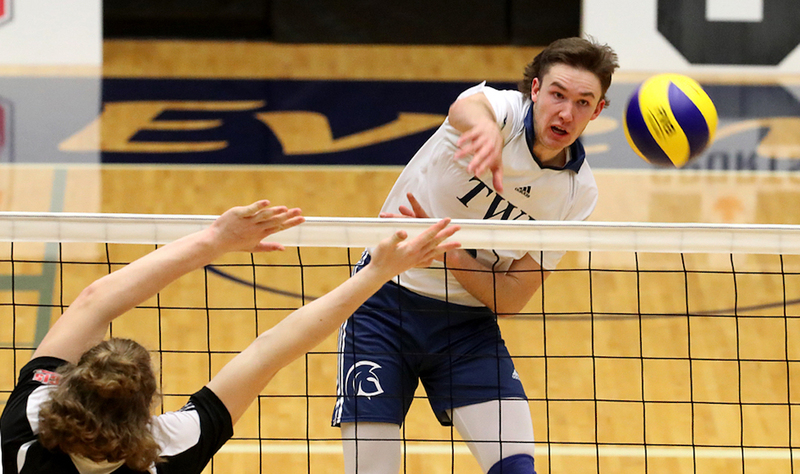 For a conference that dominates the sport, it is the ultimate sign of post-season consistency and Trinity Western is three wins away from achieving that mark. 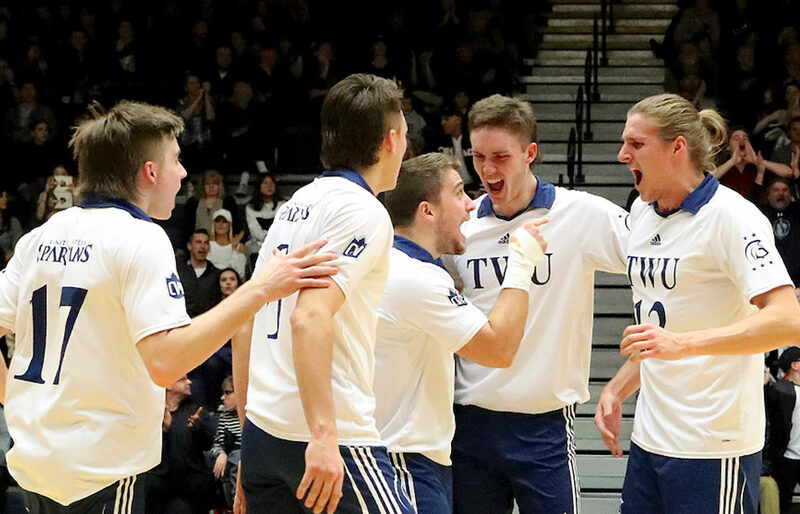 And with that, Josephson remember 2015, the year senior outside hitter Nick Del Bianco carried a young Spartans team all the way to the national final where they were shellacked by a strong, tougher Alberta team 3-0 in the national final. “A lot of our success has been built on the backs of that heartache,” he says. “The scars still run deep and that is what has made us tough.